For the most delicious, freshly baked donuts and desserts in northern Kentucky, stop byEmersonâ€™s Bakery in Florence. 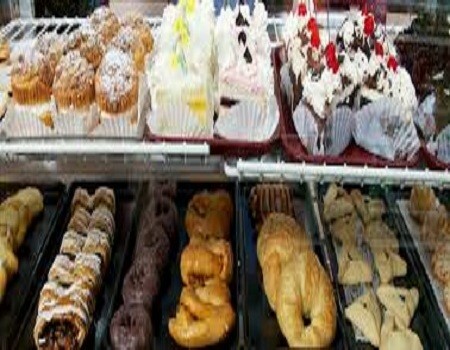 This friendly local bakery shop has been serving customers since 1970, and has built a reputation for having the best tasting and widest selection of baked goods in the area. Emersonâ€™s Bakeryâ€™s sought-after donuts are baked fresh daily. In addition to their famous donuts, these bakers also offer an array of breakfast pastries, breads, and cookies. Try their house-made toffee and danishes that fill their displays daily. Baked to perfection and full of flavor, Emersonâ€™s Bakery also specializes in handmade pies, which are a favorite among their customers. They come in a variety of tasty flavors, including cherry, apple, key lime, pumpkin, chocolate pecan, lemon, and even derby pie. Their pie fillings and crusts are always made fresh, using the finest ingredients. When you need a special occasion cake, rely on Emersonâ€™s Bakery to create a decadent and beautiful masterpiece to suit any event. From birthdays and anniversaries to wedding cakes, Emersonâ€™s Bakery can create a custom-made cake for any occasion. With a variety of flavors, fresh fillings, and decorations to choose from, their talented bakers and cake decorators will design you a delicious treat thatâ€™s just as unique as the event youâ€™re celebrating. To see what sets Emersonâ€™s Bakery apart from other local bakeries in northern Kentucky, stop by one of their four convenient locations today and taste their delicious baked goods for yourself. To place a custom cake order, call them at (859) 371-9228. Visit their website to see their latest bakery creations.